If you have little boys in your classroom there is bound to be talk of superheroes, sports and dinosaurs. It is great to find books that center around a theme or topic your learners are interested in. After all, teaching literacy concepts with engaging texts will help to hold your learners attention. 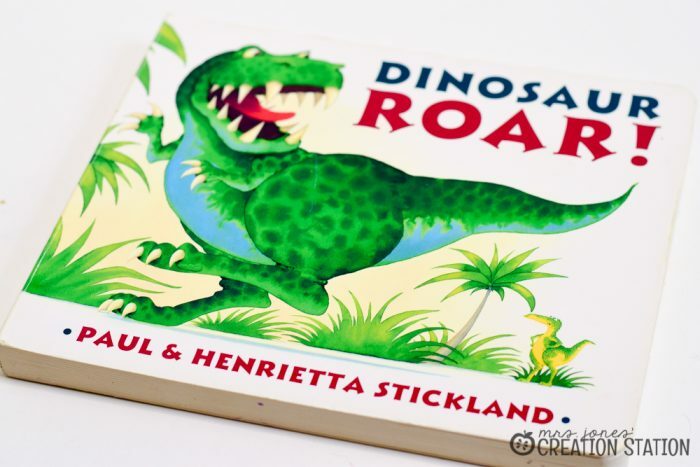 Now, let’s talk about how to teach opposite words with a little book about dinosaurs. Most early childhood classrooms have this book on their library shelves and chances are it is a student favorite. 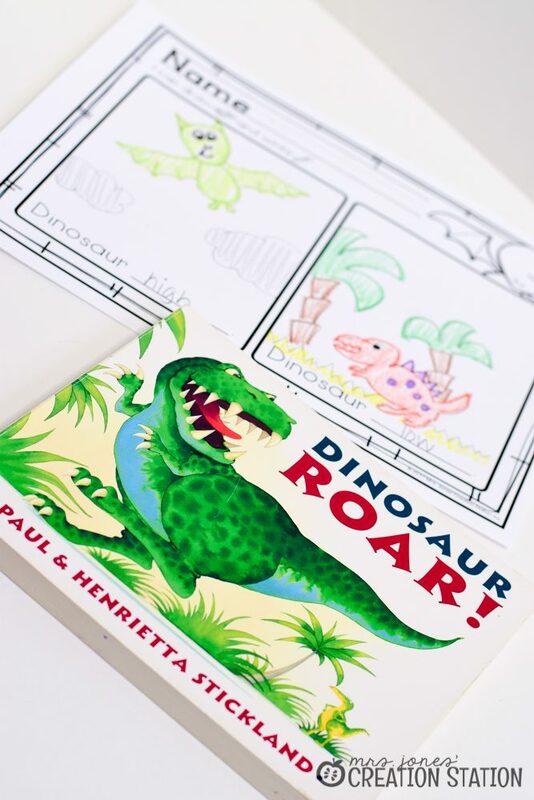 Dinosaur Roar is a simple text and is great for introducing opposites to learners in a fun and engaging way. 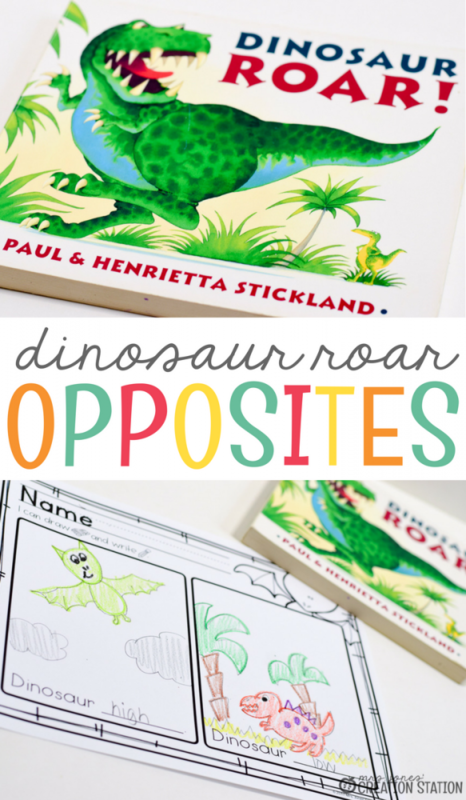 First, after reading the book together, introduce the term opposites to learners. Next, write that opposites are two things that are completely different from each other. And lastly, go back and reread the book writing or drawing the opposite words that you find in the text. Then have learners write a new page to the book. 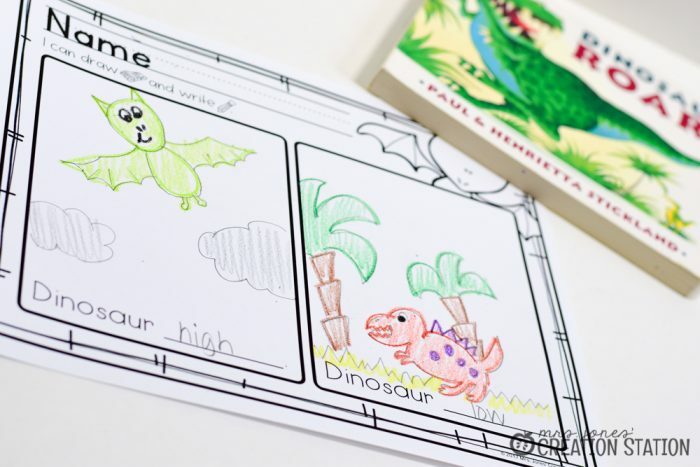 Allow them to brainstorm new opposite terms and complete the printable with a picture for each new opposite word. You can grab this printable for free by clicking on the MJCS link at the bottom of this post.